With the beginning of the 116th Congress and new congressional leadership coming to Washington in January, philanthropy has a powerful opportunity to improve our relationships with federal legislators and policymakers. It will be a critical time for us to advocate for issues that will strengthen the nonprofit sector and raise awareness of the critical role that philanthropy plays in our country. While there is always much excitement after elections, we of course know that the current Congress serves until the end of the calendar year. During that lame duck session, our sector needs to pay attention to a number of issues. One critical issue: ensuring that no bills include a provision that would weaken or repeal the Johnson Amendment. Ben Kershaw from Independent Sector outlines some other issues here that need to be on our radar over the next few months, including possible tax reform 2.0 and, more likely, a focus on judicial nominations in the Senate. Although congressional Democrats have thus far been unwilling to consider technical corrections to the TCJA, our sector needs to educate and work with legislators in both parties to come up with a solution that prevents unnecessary tax increases on charities that are already strapped for resources. Philanthropy must convey to lawmakers the impact that the charitable sector makes in our country and how it is distinguished from the role of the business and government sectors. Philanthropy has a unique ability to innovate, incubate new social solutions and deliver results. Importantly, philanthropic co-investment and partnership with government leverages resources to increase benefit to communities across the country and around the world. Next year we also need to work with Congress to undo the harmful impacts of another provision of the TCJA that will negatively impact charitable giving. The 2017 tax law’s doubling of the standard deduction will result in the percentage of taxpayers who itemize their taxes decreasing from 31% to just 13%, according to a 2018 Joint Committee on Taxation (JCT) study, resulting in an estimated loss of $12 billion to $20 billion in charitable giving. Many legislators have commented that they intended no harm to our sector with this provision. As I stated in a recent article in The Chronicle of Philanthropy, lawmakers are eager to see data showing if the increased standard deduction affects charitable giving. We should expect to start seeing such data in the second half of 2019. If the data does indeed show a drop in giving, as expected, we should bring this issue back to Congress and advocate for the most clear-cut solution: a universal charitable deduction that makes the charitable deduction available to all taxpayers. These policy issues are part of a much broader problem that our sector should start addressing in a serious way in 2019: nonprofits’ needs and concerns have not been heard or taken seriously by many in Congress, and Congress has passed legislation that harms our sector without our knowledge or input. We need to ensure that elected officials work with us as equal partners at the table, so that any law or regulation created for the sector is created with the sector. We need to ensure that elected officials understand how essential charitable giving is to the social and economic fabric of our country. It allows citizens to express their personal values through their donations, and it strengthens the network of nonprofits that support an array of citizens’ needs that government services cannot or will not address. We need to present a fuller voice to Congress about philanthropy, to help them understand that philanthropy is not just concerned with federal tax policy and related “self-defense” issues—not that those issues aren’t important—but that we care about a vast range of critical community needs. An ideal opportunity for philanthropy to engage with the new Congress will take place on March 11-13, when United Philanthropy Forum presents the 2019 Foundations on the Hill (FOTH). This once-a-year event will bring together hundreds of foundation leaders from across the country to Washington, DC to speak to Congress with a single, powerful voice. 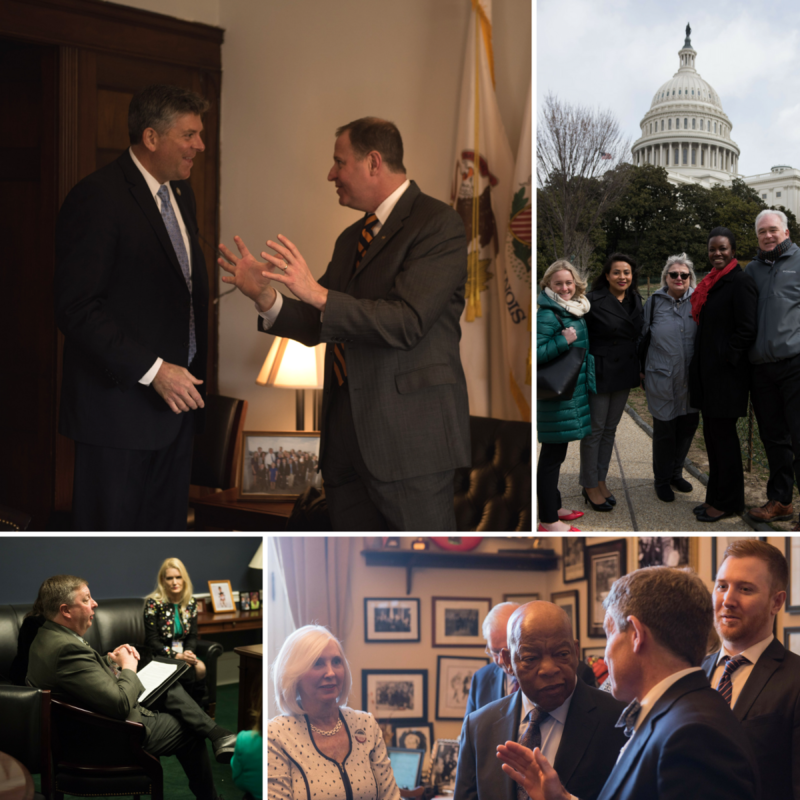 The timing of #FOTH19 in early March, just a few weeks after the new Congress begins, is perfect timing for our community to work with legislators to support and strengthen our sector. You can learn more about the 2019 Foundations on the Hill and sign up on the Forum’s website. If you plan to participate in #FOTH19, contact the Delegation Captain for your state or region or Matt Hennessy, the Forum’s Senior Manager of Public Policy, who can answer any questions you may have about your delegation’s participation in the event. All Delegation Captains represent Forum members. If you care about having a strong and vital philanthropy sector in our country, please join the Forum and our members and colleagues across the country as we redouble our active engagement with Congress and other policymakers in 2019. Now is the time.